Are they only poisonous while they’re red? Or does that go away when they fade to green? I believe they’re poisonous all their lives. Some animals do still eat them, so I guess it’s a compromise between discouraging some would-be predators and attracting others. The smooth newts in our Yorkshire garden disappear from the pond in late summer and reappear in the spring. 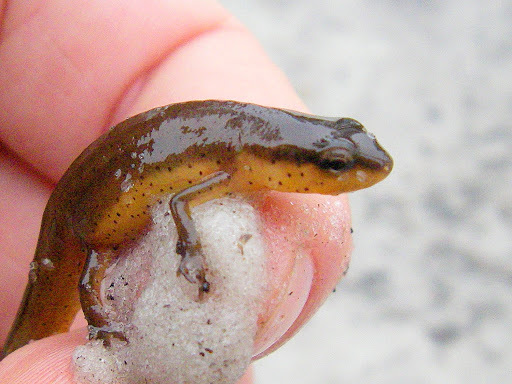 The books tell me that adult European newts live on land and only return to ponds in the breeding season, but I’ve never come across one out of the water. Oh, cool. 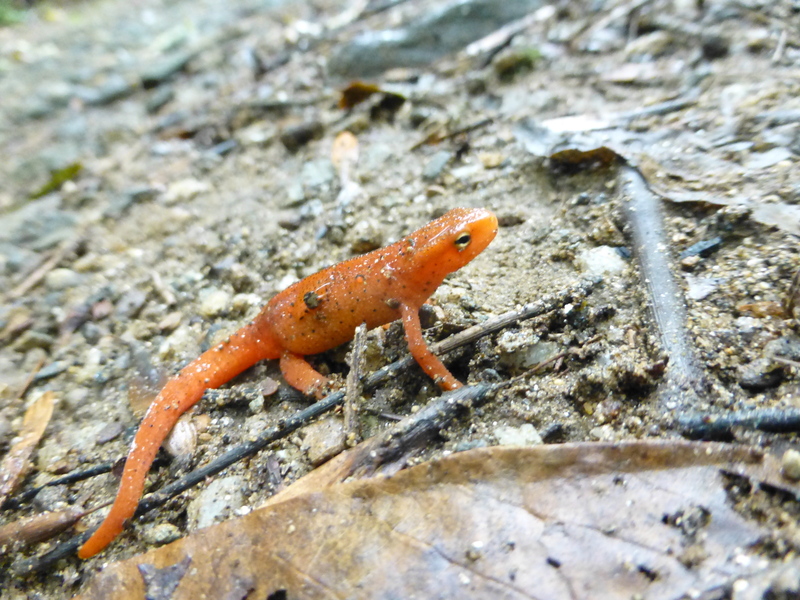 American newts can leave the water but rarely do – usually only to get rid of leeches. They can also burrow into the mud if the pond dries or freezes. We have several other salamanders and frogs that live on land but spend most of their time in burrows or under the leaf litter. Maybe that’s what your newts do?